Twitter is a San Francisco-based company that is offering micro-blogging services to send 140-character text updates, called “tweets”, which other users can also read. It is the age of technology and globalization. People want to adopt technology up to their highest level and also want to bring change in their lives. Due to social media perception, thoughts and feelings are changing day by day. People have ample options of social networking like Twitter, Facebook, LinkedIn, MySpace, etc. Twitter facilitates and provides a platform for individuals and professionals to access industries in order to create relationships and diversify its impact on their work (see Figure 4). Twitter has users around the globe including individuals, businesses, celebrities, government officials and others. Twitter has worked with more than 1,600 advertisers as a result; revenues have increased from $28 million in 2010 to $317 million by 2012. Twitter has to adopt “Product Development Strategy” to add more services for customers just like other networks. “Video Streaming” option can be very effective for Twitter because of customers’ preferences. Videos of famous TV shows like CBC, Star World, HBO, MTV, National Geographic and others will help to bring more unique visitors. “Videos uploading” option can also bring more customers in the market. Effective photo-tagging and album sharing system with multiple features will also attract various customers. “Video conferencing” features will provide value addition because currently it is very common among the people. 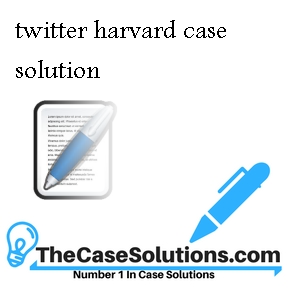 File attachment feature will strengthen Twitter and attract customers. Twitter has various competitors like Facebook, LinkedIn and MySpace. Facebook has more than five times users as compared to Twitter. This is the area of concern for Twitter if they want to survive and gain competitive advantage. Young generation has not been able to use Twitter due to lack of a time and old persons, young generation along with housewives use Facebook due to sufficient time period. Twitter’s big concern is regarding illegitimate content users in the form of spam, viruses, and fake accounts. Fake Twitter accounts create a negative impact on users and discourage them to use it. Due to these reliability issues, growth of Twitter is questionable in the long run unless it will overcome them.